Greenfish, the apparel company that donates 5% of its profits to a sustainable fisheries conservation partner, has released what they are calling the CPR Mount for cameras. 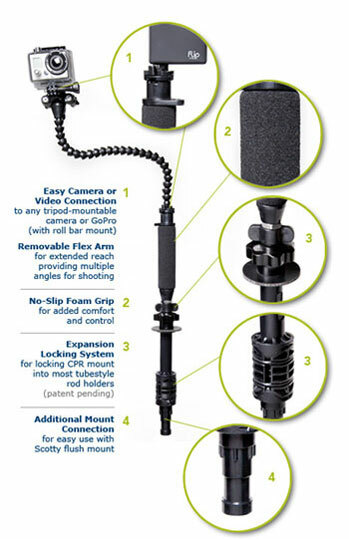 It was designed to be used with rod holders, and it fits almost all camera mounts, including the GoPro. More information on the CRP mount and Greenfish.